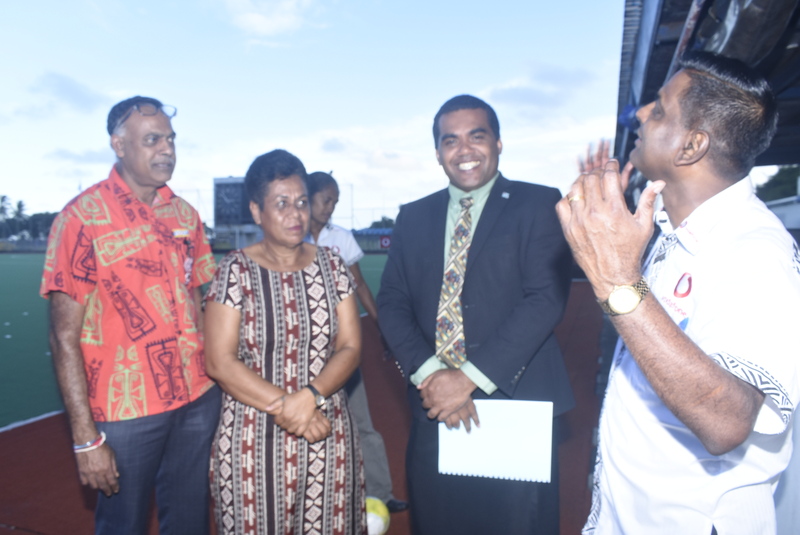 Assistant Minister for Employment, Productivity, Industrial Relations and Youth Sports Honourable Alipate Nagata urged football players to stay away from using drugs in sports. Speaking while opening the Vodafone Futsal Inter-District at National Hockey Center on Friday Naqata highlighted to the players of the importance of staying away for performance enhancing substances in sports. “Recently in the news we have heard of the allegations against Fijian footballers allegedly involving the use of Marijuana. I understand the FFA are exploring avenues for testing facilities where random players will be tested not only for Marijuana but other performance enhancing drug,”said Nagata. He said government through the Ministry of Youth and Sports had taken a step forward in the National Anti-Doping Policy which was, if passed, will be the first in the pacific region. “As big brothers in the Pacific Region, we have to show our fellow Pacific Islanders on the Best practices in sports and creating a clean sporting environment in the Pacific. “On that note I wish to share with you all the importance of good governance in sports. Good governance in sports is a foundation for building sports excellence in any country,”said Nagata. Nagata added that Government through the Ministry of Youth and Sports, promotes values and social cohesion through national sports development. “I see a lot of rising stars sitting here and I encourage you to keep on striving for the best. “Remember ‘Practice does not make perfect’. If the old saying were true, there’d be thousands of perfect football stars out there. “It’s “deliberate practice” that allows you to steadily progress with whatever skills you’re looking to improve. “Deliberate practice” is one of the key differences between the most successful sports persons and the average ones. You have gone past that and are deliberately prepared now for the FUTSAL Inter District Competition. “Government regards Sports as a multi tool; it is a career; it keep you fit; it brings us teamwork; discipline; integrity; leadership; will to win; make a healthy nations; and keep you away from Non Communicable Diseases [NCD’s]. He encouraged all to behave in a way which brings pride to Fiji Football; be humble in both victory and defeat. As Nelson Mandela said: “Do not judge me by my successes; judge me by how many times I fell and got back up again”.